Massaging rollers - smoothly stimulate and massage your skin to ease the epilation and increase the comfort in your beauty routine. A great option for convenient hair removal in a gentle way, the Silk-épil 3 3170 is ideal for those new to epilation. 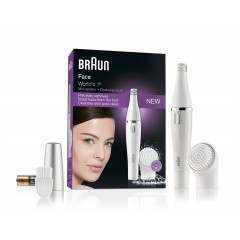 Massaging rollers stimulate and massage your skin to make epilation more comfortable while 20 tweezers work together to remove hair at the root to leave your skin feeling soft and smooth. Removing hair from the root means that hair takes longer to grow back than removal with surface methods like shaving and creams. When it does grow back, it’s softer and finer than before, putting an end to stubble. For ultra-efficient, gentle epilation and up to four weeks of long-lasting smoothness, listen to your skin and choose Silk-épil. SoftLift Tips: The SoftLift Tips effectively lift even flat-lying hair and help guide them to the tweezers for removal. Smartlight: The Smartlight helps to guide you through the epilation process with ease by lighting up even the finest hairs to ensure a no-miss result. Speed personalisation: You can select the right speed for your individual needs. 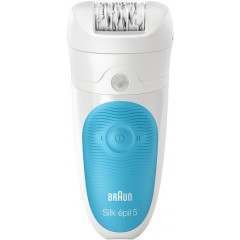 Use speed one for extra gentle epilation and speed two for extra efficient epilation. 20-tweezer system: The 20 tweezers on the Silk-épil 3170 gently remove hair at the root for long-lasting results. Massaging rollers: The Silk-épil 3170 features massaging rollers that smoothly stimulate and massage your skin to ease the epilation and increase the comfort in your beauty routine. 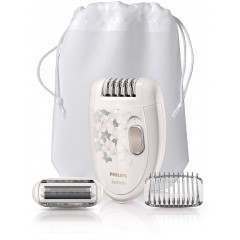 Dermatologically recommended features: The Silk-épil 3170 has tailored features to make standard epilation more comfortable for gentle hair removal. I have never epilated before. How should I go about it? 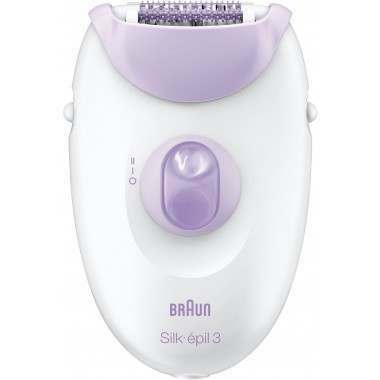 Braun’s Silk-épil epilators are the perfect choice for first-time users. Their active massage rollers softly stimulate your skin with micro pulsations before and after removing the hair, leaving your skin more relaxed. Still, if you are inexperienced, you may feel a little discomfort during your first epilating sessions. This will decrease with each session, as the skin adjusts to the process. Also, the individual hairs grow back at different speeds depending on their particular growth cycle, so that there will be less hair to remove after the first epilation. Does more hair grow back if I epilate? No, this has been proven in dermatological tests. 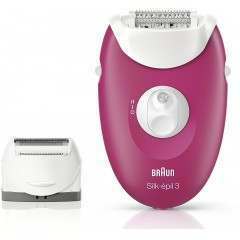 In fact, studies show that ongoing epilation reduces the amount of hair regrowth. How do I best prepare my skin for epilating? The best preparation for epilating is a nice, warm shower. 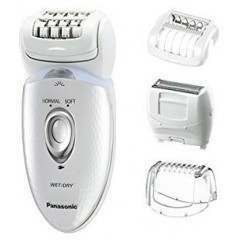 It will leave your skin clean and relaxed. Be sure to use a gentle, pH-neutral shower gel, and keep the water warm, not hot, to avoid drying out your delicate skin. 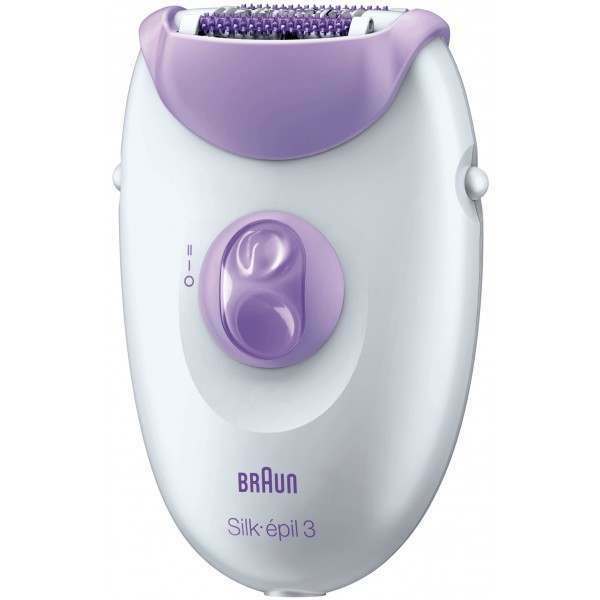 Silk-épil epilators have been developed especially to minimise any discomfort and irritation. The cooling glove included effectively cools the skin before and soothes it after epilation.